A la venta dentro de unos días, el primero de junio. Y... ¡qué portada más bonita! 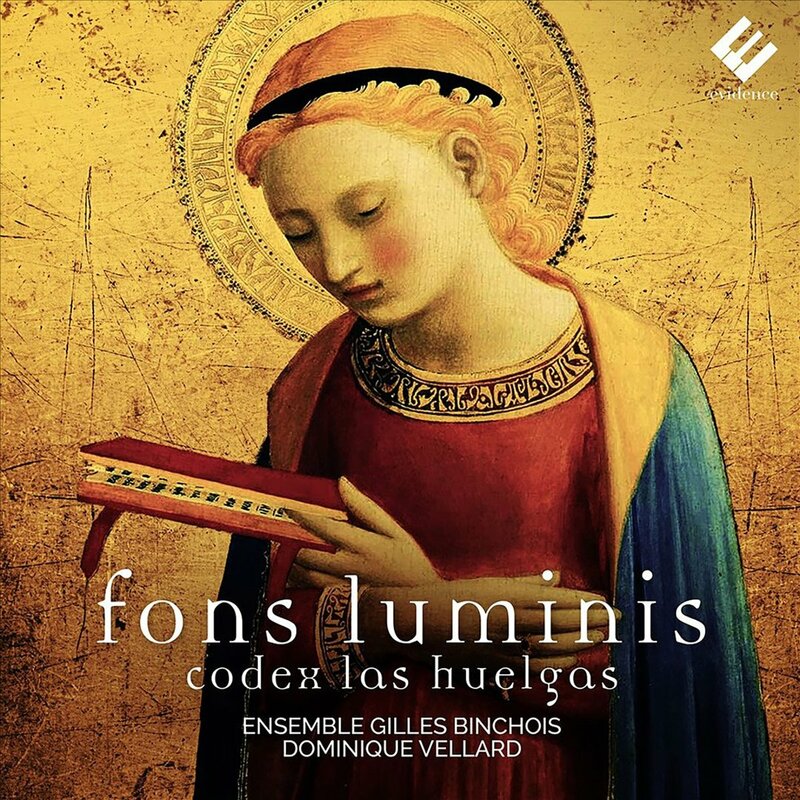 Ensemble Gilles Binchois has been involved with the Notre Dame repertory — & this Las Huelgas program is undertaken in relation to the Notre Dame repertory that dominates it — for more than thirty years now, and so the interpretations continue to gain in refinement. As the most recent issue, these interpretations are particularly rich in detail. The Las Huelgas orientation also brings justification for a female ensemble, and the resulting variation in sounds & textures (with the all-male groups employed on some tracks) is welcome as well. Altogether, this program & interpretation do paint a vivid musical picture, one of many that might be painted.